True Talent at it’s best. These ladies performed at our wedding last night, everyone was asking about them so here is their link. They are beautiful, have fabulous outfits & their voices, well what can I say Diana Ross eat your heart out. Everybody was up dancing with their 3 sets gradually accumulating to a huge disco finale with “Its Raining Men” performed just for us. Love it girls. Thank you Roxane Lebrasse. 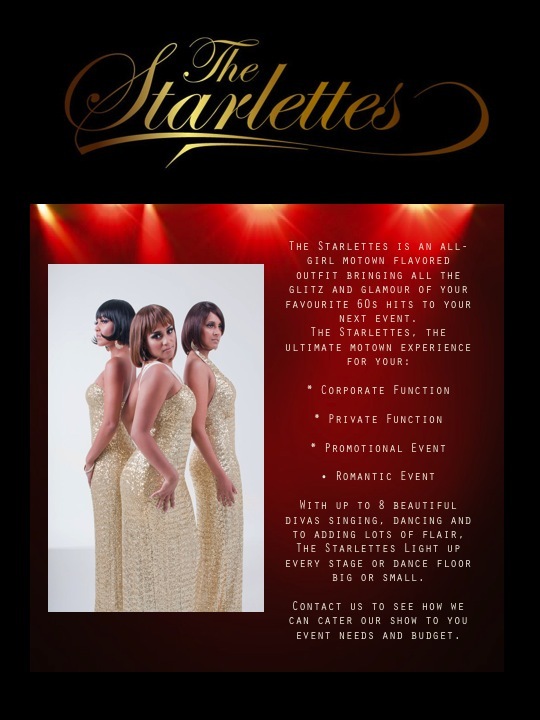 If your looking for raw talent, sexiness & sheer & utter fun at your next party, don’t go no further than The Starlettes.